New Products In Stock Including Gold Plate! Get your hands on some Rose Gold Bullion! 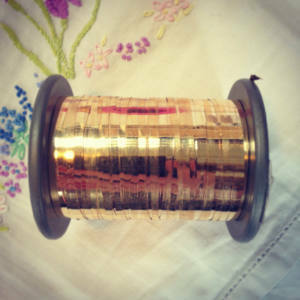 Introducing our new bullion that comes in Rose Gold!! We currently have 5g in Bright check and its perfect for cutwork! Buy it today! Interested in learning how to use bullion? 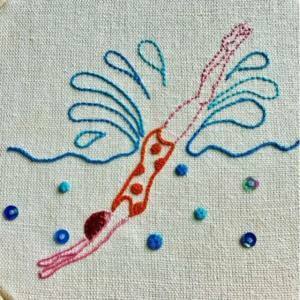 We have Beginners Goldwork Evening Course coming up to teach you just that! Indian Ari hooks have landed! Indian Ari Hooks with wooden handles are back in stock after high demand! These packs come with three hooks in them and is very similar to a Tambour hook but very fine and longer. Average length of tip 2-3cm, including handle 9-10cm.